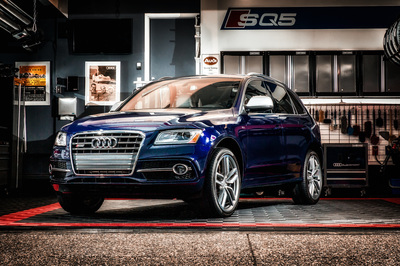 When I first laid eyes on the SQ5 at the 2013 Auto Show, I didn't really pay that much attention since I was still in love with my 2009 Q7. 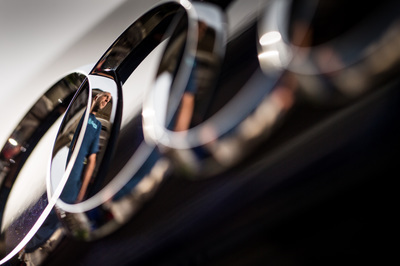 But, when the Q7 fell out of warranty I began imagining myself behind the flat-bottom steering wheel of an SQ. I was able to take one for a test drive, and I immediately fell in love with the intoxicating mix of luxury and performance it offered. 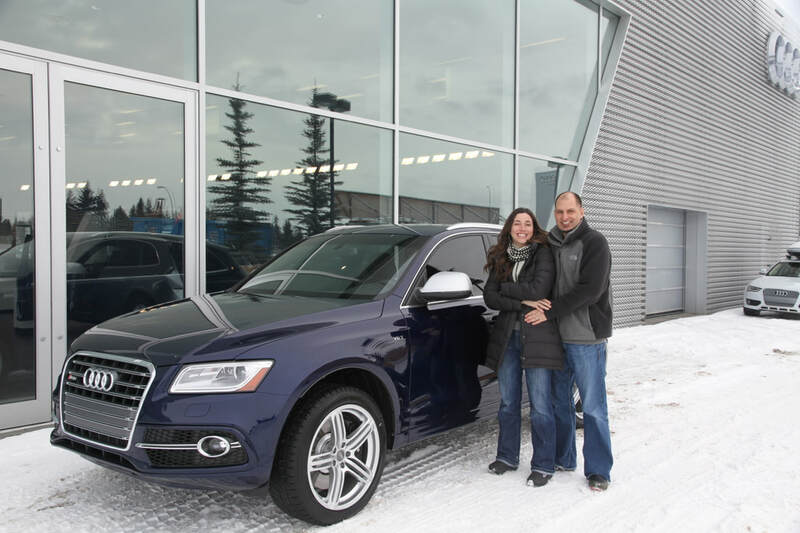 We placed our order in October of 2014 and took delivery of it shortly after Christmas. It was an absolute love affair up until September of 2017, when I upgraded to a 2018. 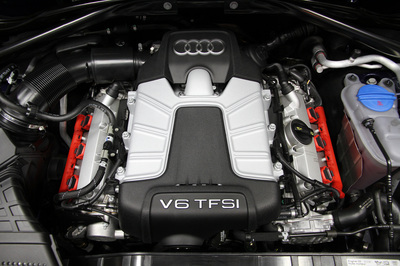 The power generated by the 3.0 litre (2996cc) supercharged V6 is impressive and never ceased to put a smile on my face. The 8-speed tiptronic ZF gearbox was highly refined and provided quick-fire shifts. 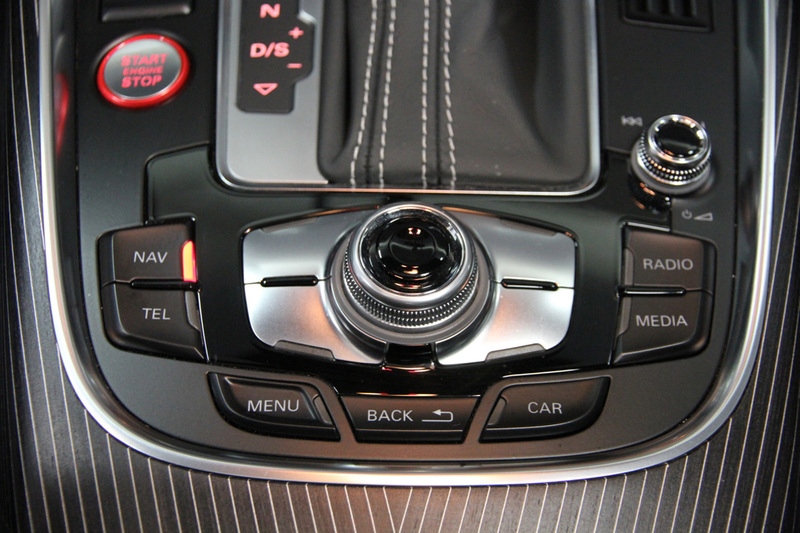 When I dropped the 8-speed into "S" mode, the driving experience erupted. 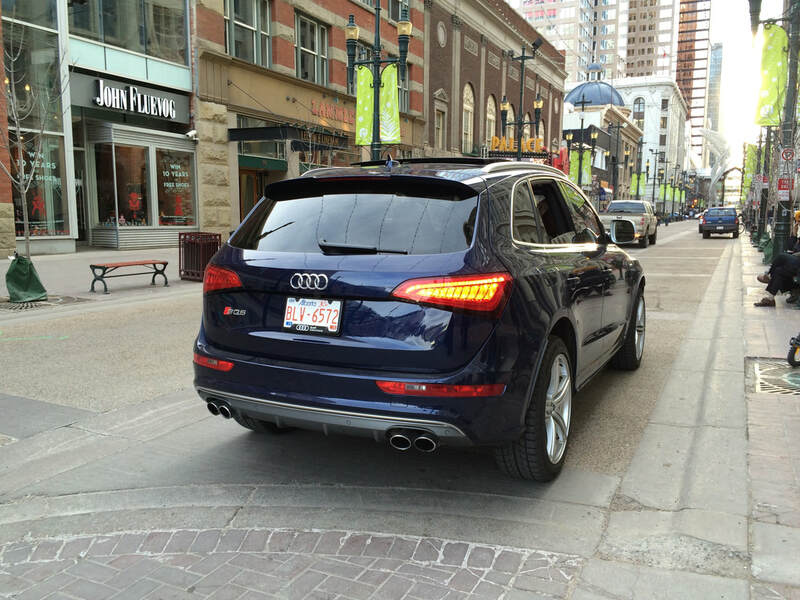 No longer did I feel like I was piloting a crossover, I felt like I was behind the wheel of an F1 car. It is important for me to note that I have not piloted many high performance cars, but I derived a lot of excitement out of this vehicle. 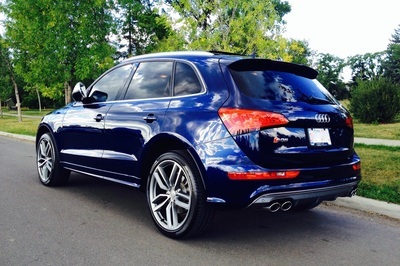 In addition to the acceleration and power, the stopping power of the brakes was deadening. 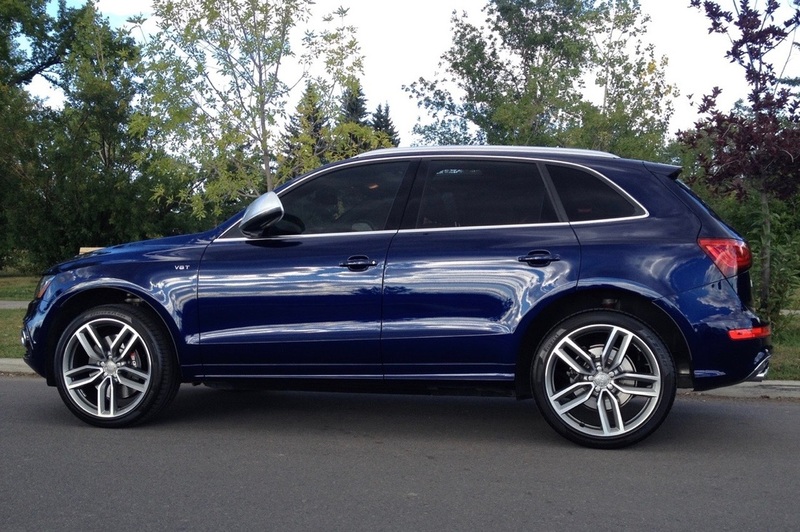 Massive 6-piston calipers on the front brought the SQ5 to a dead stop and they showed minimal sign of aging even at the 73k mark when I sold it. The Drive Select system allowed me to custom tailor some performance characteristics to my exact tastes, but I had dynamic mode dialed in most of the time. The steering stiffened, the gearbox mapping intensified, and the sound of the quad exhaust deepened. The SQ5 was an outright blast to drive no matter what the weather threw our way. The full-time Quattro system oozed confidence in a wide variety of settings, especially when the snow started flying. I purchased the optional 21" Audi exclusive wheels with Pirelli P-Zero summers, so a dedicated winter wheel and tire setup was a no-brainer. 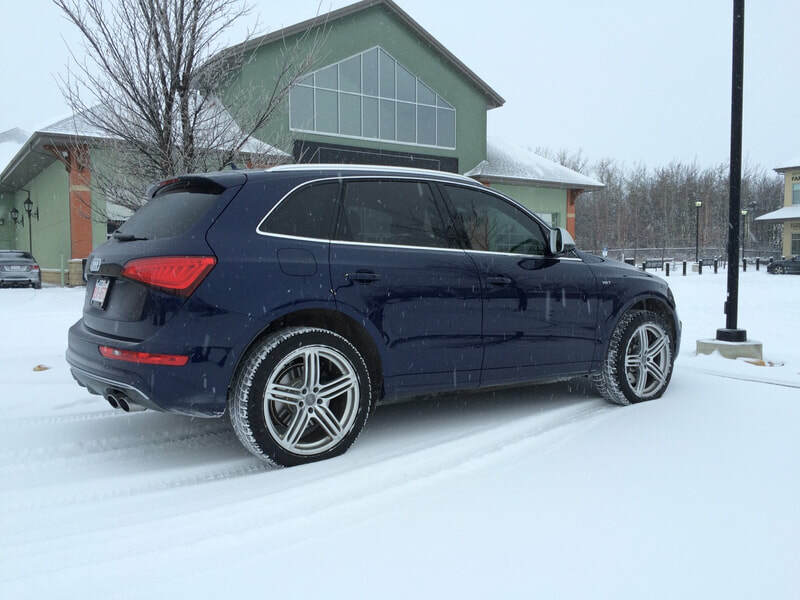 My 20" winter setup consisted of Bridgestone Blizzak LM-60 performance winters and Hartmann HRS6-204-GS wheels. 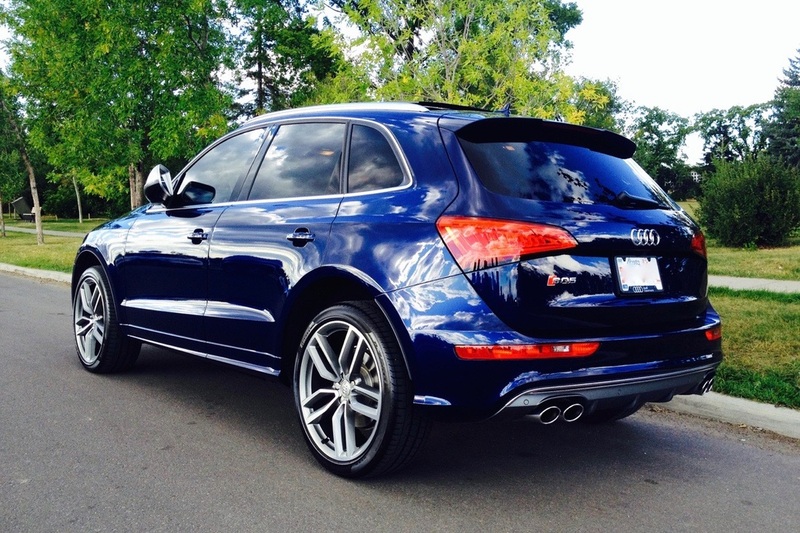 Hartmann is a high quality replica wheel manufacturer that specializes in Audi, Mercedes, and Porsche style wheels. Eventually, I purchased a third setup. 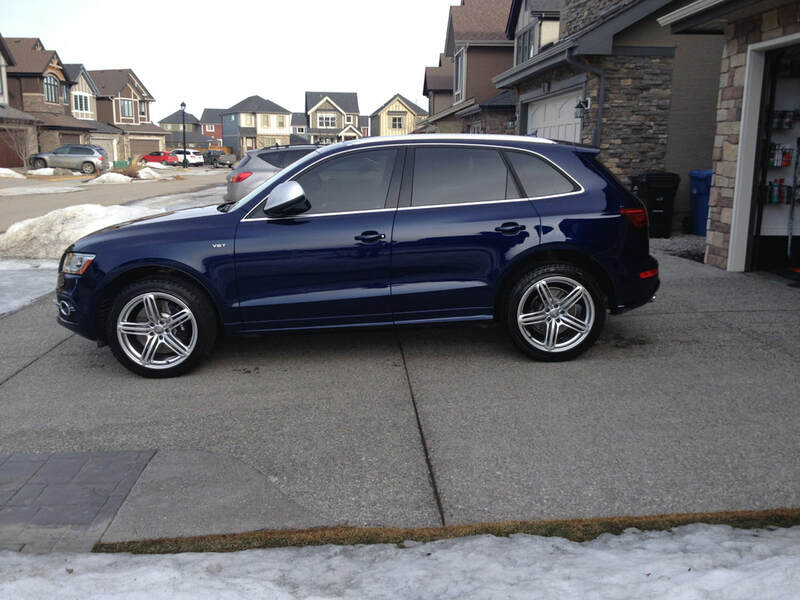 I went with 20x9" Hartmann HTT-256-MA wheels and 255/45 Yokohama Parada Spec-X all-season rubber. This set served me well during the Spring and Fall months, when temperatures are unpredictable. 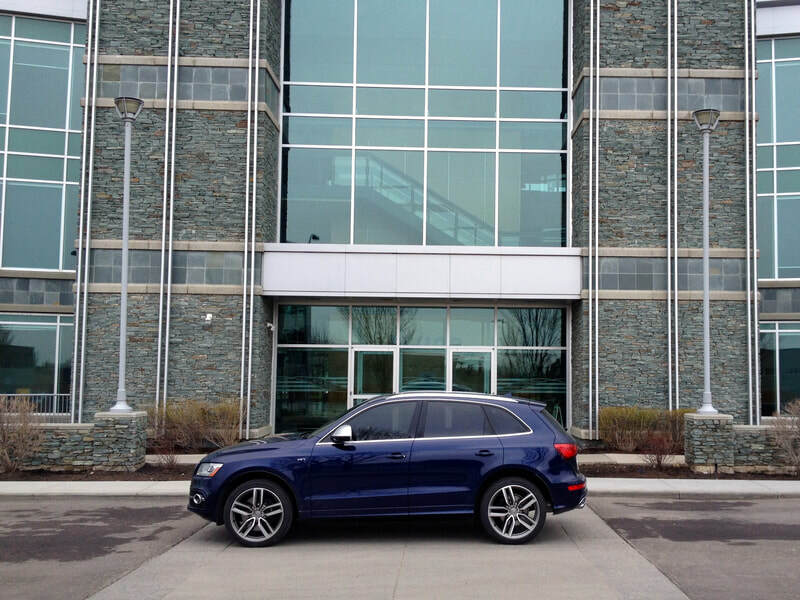 No matter the season, with the proper shoes, the SQ5 did what it needed to do to ensure we arrived safely. 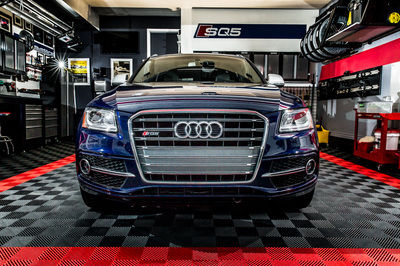 The "S" in SQ5 definitely stands for "Sport", but a strong case could also be made for "Sophisticated". The cockpit was logically laid out and quality finishing abounded. 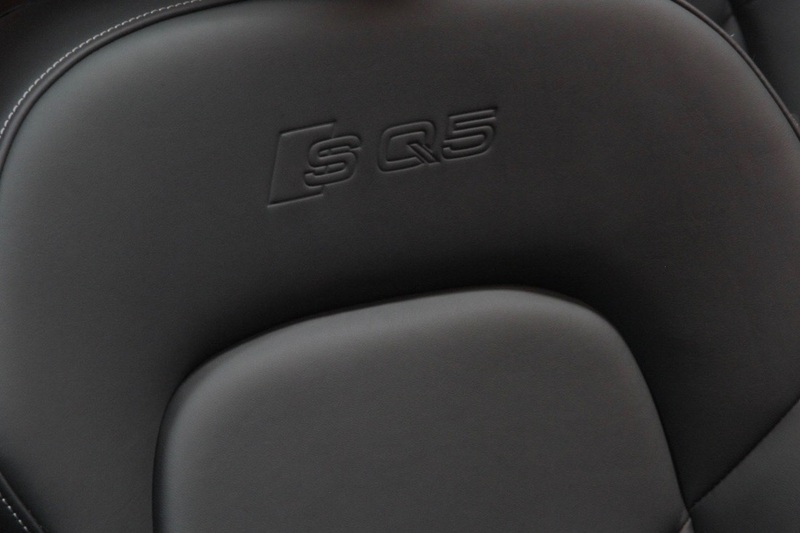 We opted for the S-Exclusive Beaufort Oak/Aluminum inlays which nicely complimented the black Nappa leather and enhanced the interior's luxurious tone. Other "S" touches included a RS-style gear shift, aluminum-look side mirrors, white cross-stitched sport seating, flat-bottom steering wheel, red accent ring around the start button, aluminum pedals, black headliner, white-on-grey instrument panel, and a few other subtle touches. 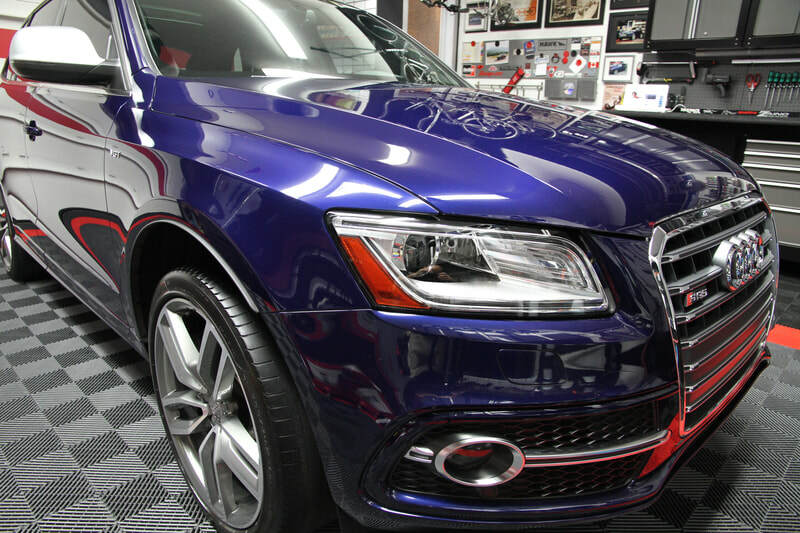 In addition to these features, we optioned our SQ5 with the panoramic sunroof, rear sunshades, rear side air bags, navigation package, 505 watt 14-speaker Bang & Olufsen sound system, 21" Audi exclusive alloy wheels, and Estoril Blue crystal-effect paint. 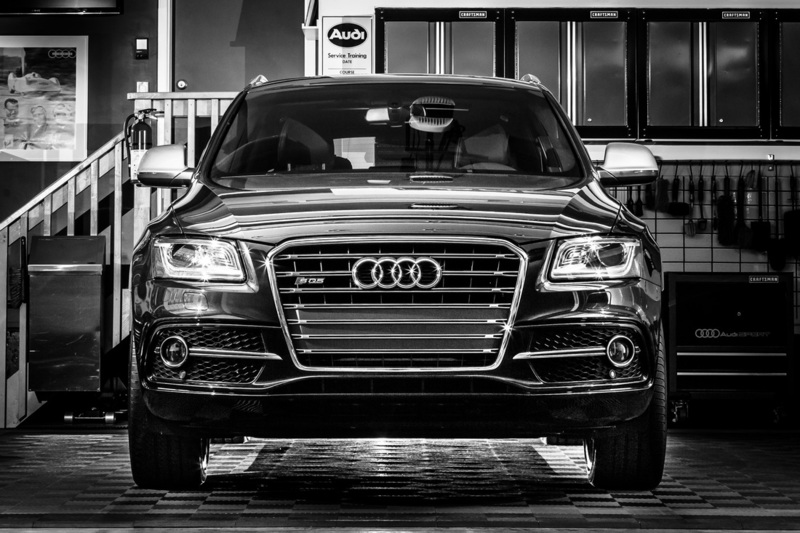 We declined the adaptive cruise control, TPMS, and rear seat entertainment package. 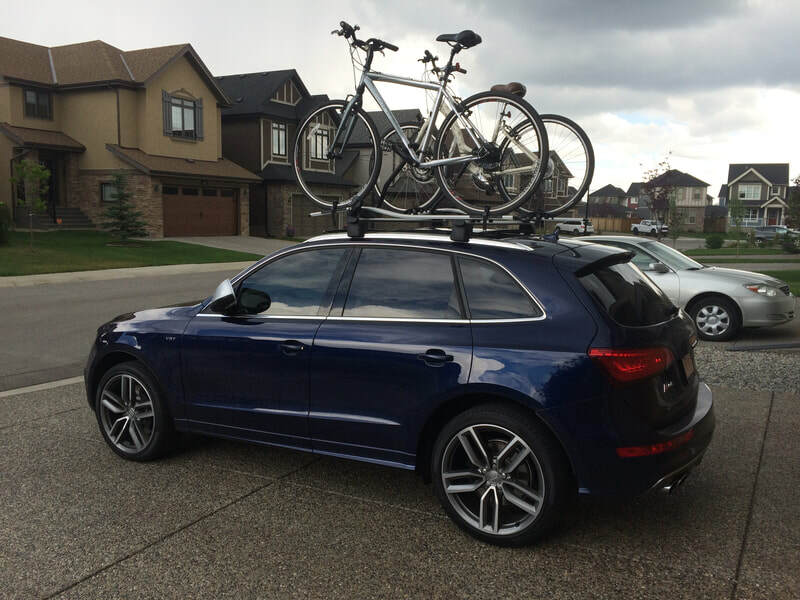 With all the hype surrounding the performance potential of the SQ5, it was easy to overlook what a great job it did of handling all the chores a small family could throw its way. It really was the full package in terms of performance, comfort, and practicality. 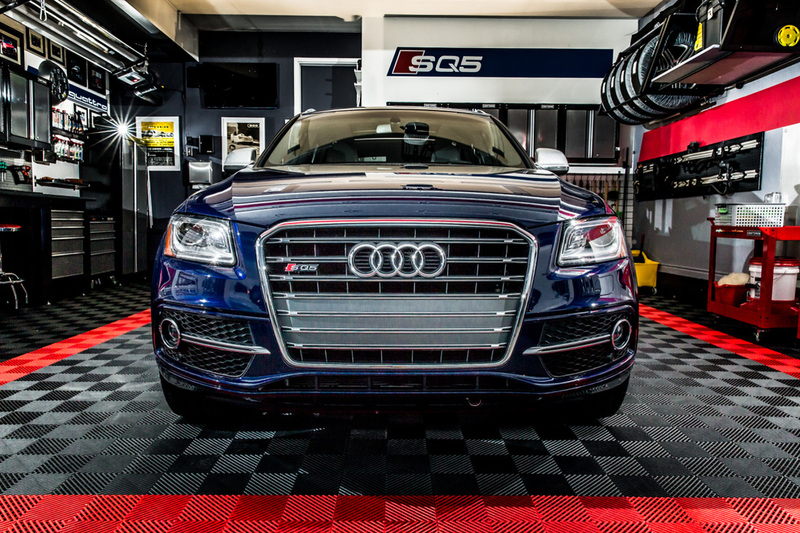 Needless to say, the SQ5 received the royal treatment. 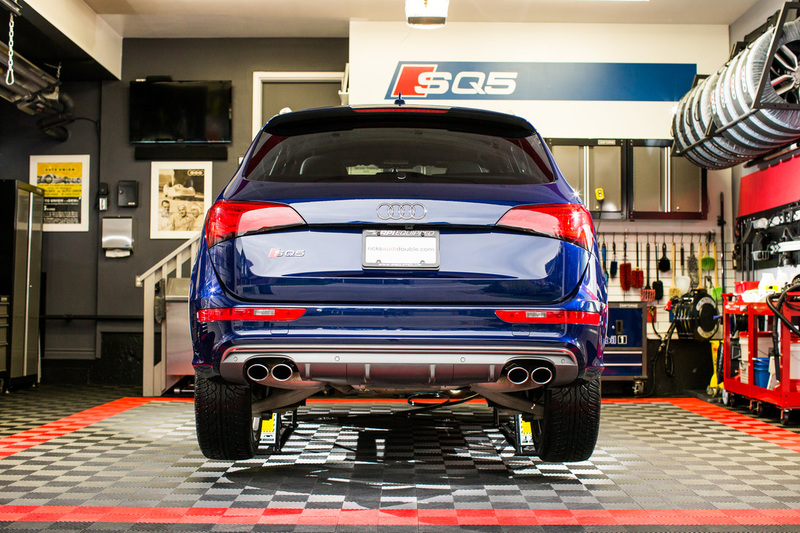 All of the time, effort and money I have invested in the garage allowed me to cater to my car's every whim no matter the season. 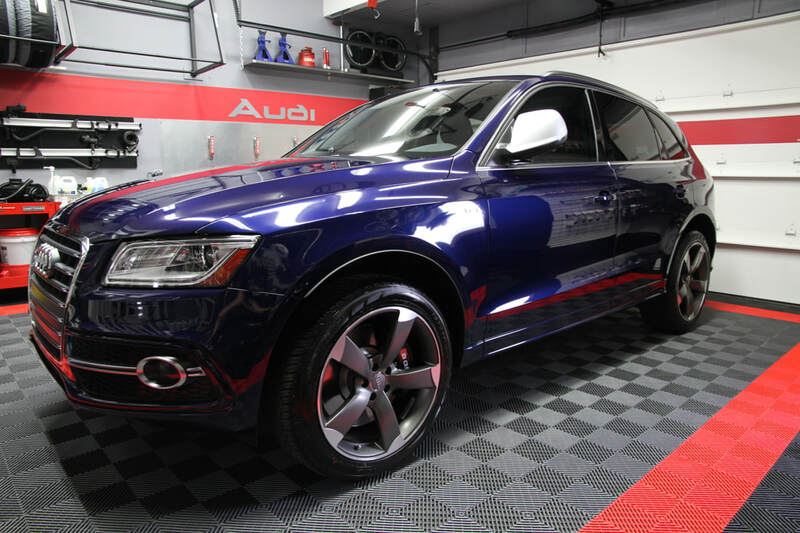 In addition to regular full details, it received frequent vacuums and washes. 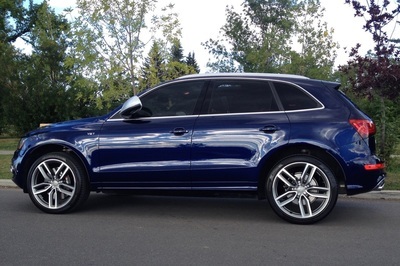 I highly doubt there was a more pampered SQ5 out there, not to mention a more deserving one.